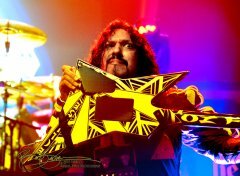 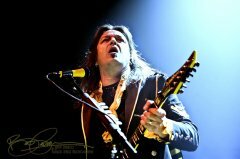 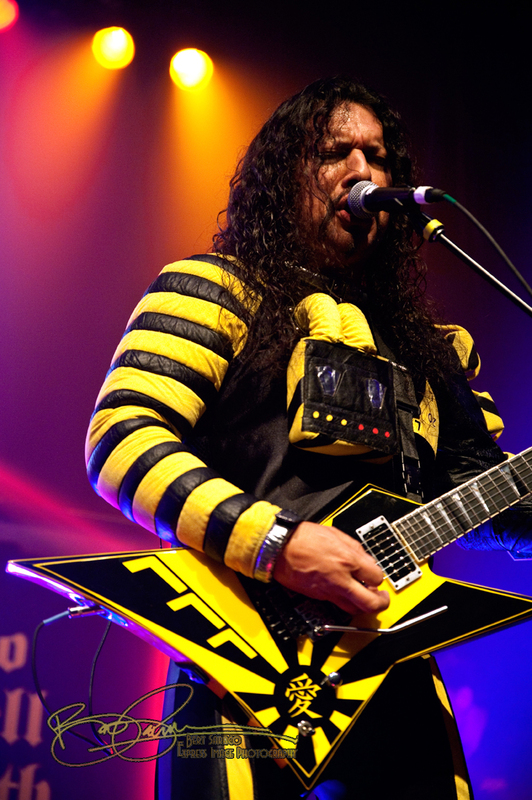 It’s been three decades since the release of the platinum-selling To Hell With The Devil, the iconic and perhaps most career-defining recording by the masters of melodic pop-metal: Stryper. 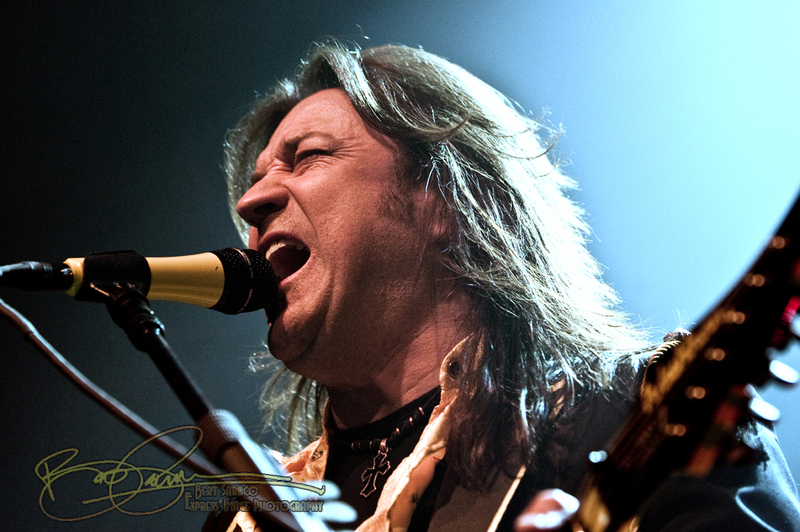 A full three decades after the release of that album, and 33 years since the formation of the band, Michael Sweet (lead vocals and guitar), his brother Robert (drummer and ‘visual timekeeper’), Tim Gaines (bass guitar and background vocals), and Oz Fox (lead guitar, vocals) are still ‘rocking for The Rock,’ and showing no signs of slowing down or compromising their music or their message. 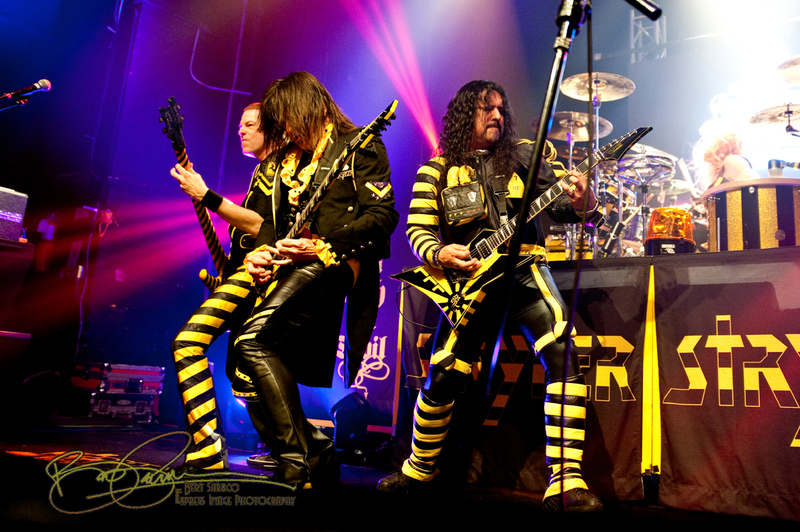 Emerging from the musical ghetto that used to be known as Contemporary Christian Music, Stryper (formerly Roxx Regime) was the first band from that camp that could legitimately carry the label ‘metal.’ Combining their driving, heavy sound with strong melodies, Beatles-inspired harmony, great hooks, and, most importantly, a solid commercial appeal, Stryper broke barriers and ended up squarely in the forefront of the still-young MTV phenomenon. 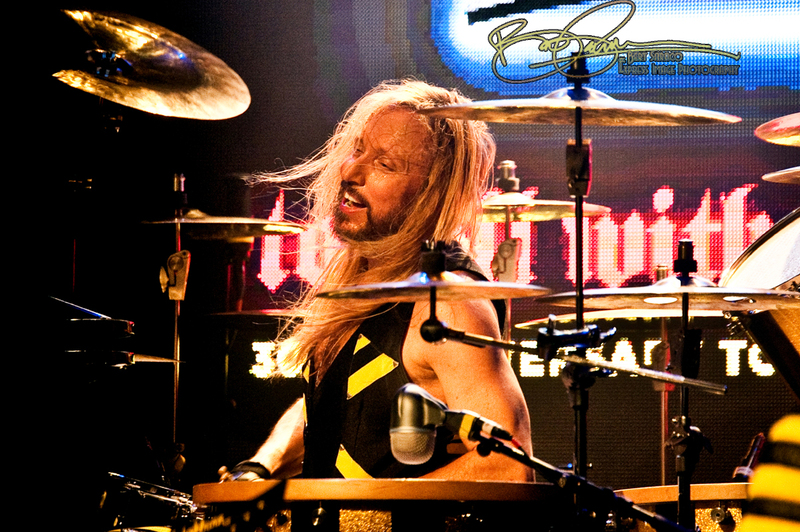 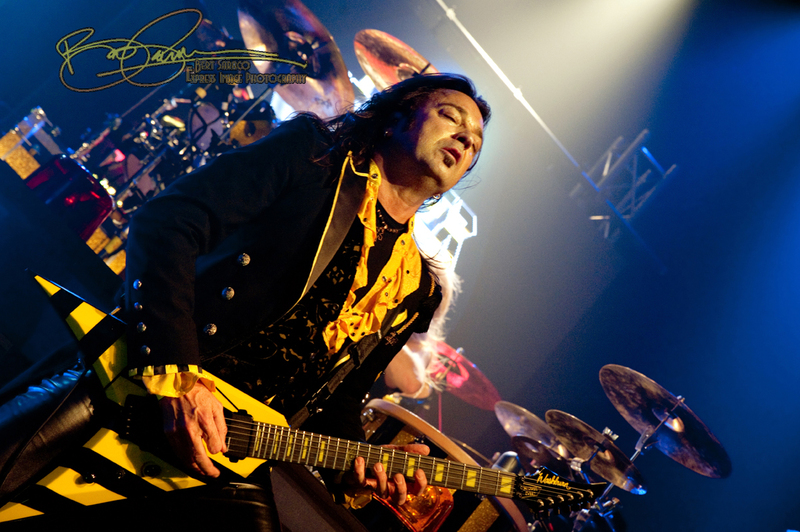 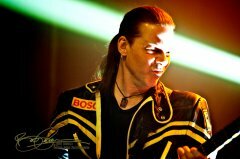 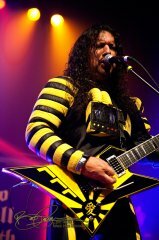 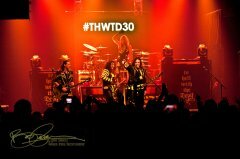 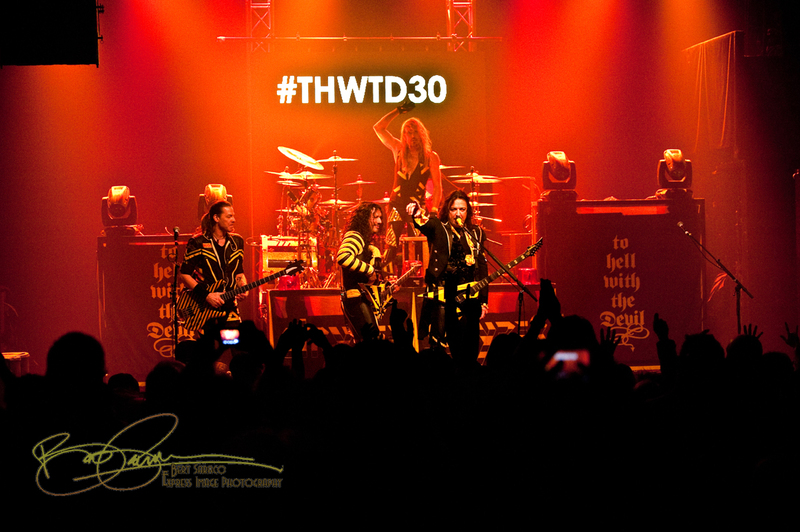 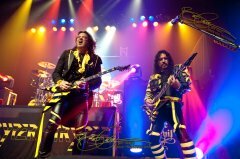 After a short set by the opening act (a powerfully-voiced singer/songwriter/guitarist named Moriah Formica), an eight minute video history of Stryper was shown leading up to the band itself appearing onstage amidst smoke and (what else) yellow spotlights, whereupon they proceeded to, as they, say, rock the house. 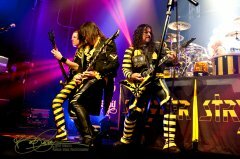 Soaring twin guitar lines from Michael and Oz, thunderous drumming from the sideways-to-the-audience Robert, melodic, driving bass lines from Tim – all of the classic Stryper elements came out in force, nearly eclipsed by the operatic-metal vocals and impossibly high (and eagerly anticipated) screams from Michael Sweet. Starting out with the entire To Hell With The Devil album and roaring through a variety of favorites from their catalog, Fox and Sweet traded guitar licks like tag-team wrestlers, with Oz performing his machine-gun riffs as if it was still the eighties. Aside from “All of Me” and the mega-hit ballad, “Honestly,” the band performed high-energy, head-banging pop metal and the crowd ate it up for the better part of two hours. 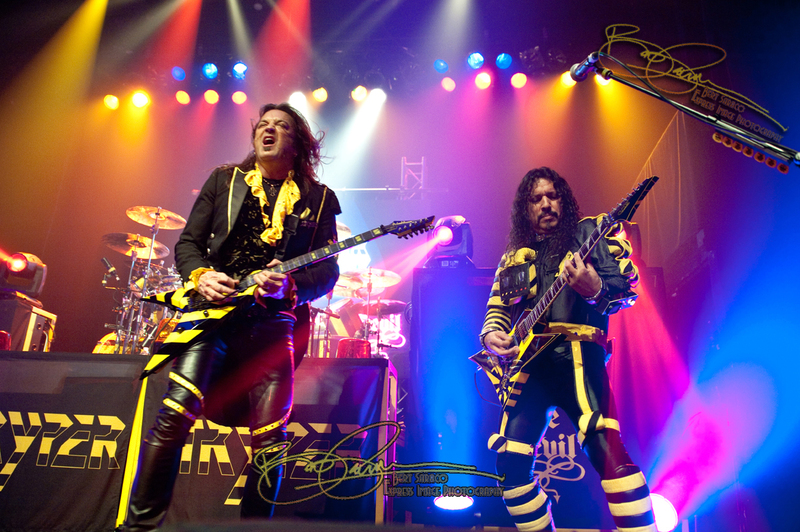 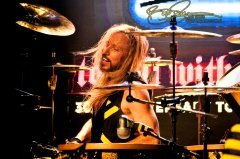 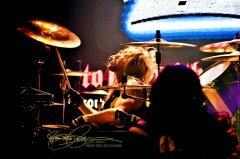 Stryper is indeed alive and well, as this next-to-last stop on the tour firmly established. 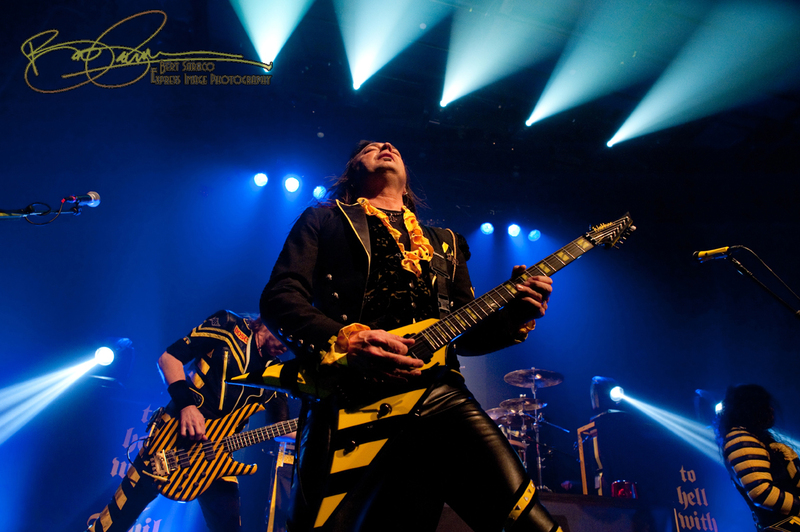 The next night would take them to North Carolina, as these soldiers under command soldier on. 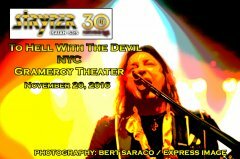 As for the audience… we look for our cars and hope they weren’t towed away …earplugs get removed …we board subway trains and hope that the LIRR is still up and running. And some of us are hoping the social security check is in the mail.